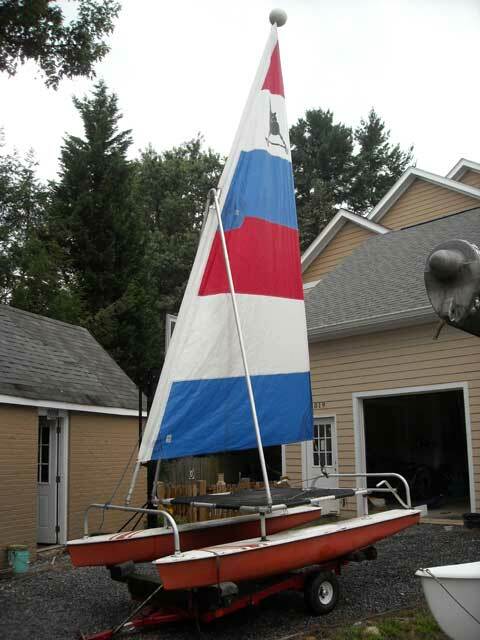 Overall the boat is complete and ready to sail. 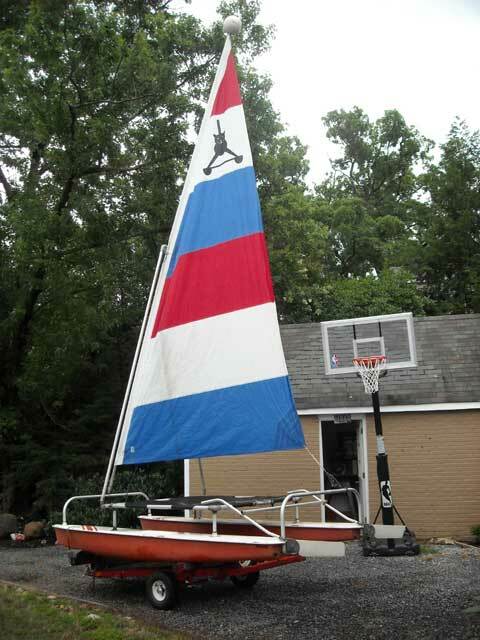 This boat can be rigged rather easily by one person and I would be glad to show you how to set the boat up. This summer I had it out at Solomon's Island, MD once in June and once in July. Trailer new in 1996 and I will transfer the title to you when you buy (expect to pay DMV fees to register and get your own license plates). It's easy to pull this boat behind a car or an SUV. Through the years I've pulled it behind a Ford Tempo (4 cylinder), Pontiac Grand Prix, Ford Escape, and an Acura MDX. 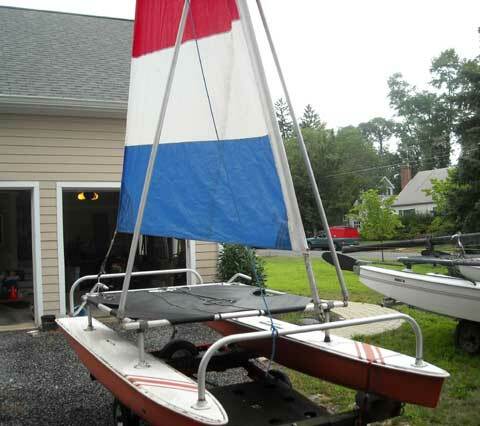 Thank you for posting the ad � Just sold the boat for $450.